Throughout my love affair with cinema I have regularly had a favourite actor. It all started with the master that is Robert De Niro after I became obsessed with Goodfellas and Raging Bull. After watching Wild at Heart it was Nicolas Cage for a while, and Dead Man, Donnie Brasco and Fear and Loathing in Las Vegas meant that Johnny Depp was the main man to watch for some time. True Romance made it Christian Slater for a short period and then American History X and Fight Club made Edward Norton number one for a while. I think that after watching Harsh Times tonight however that Christian Bale has to be the current Don in the acting world. 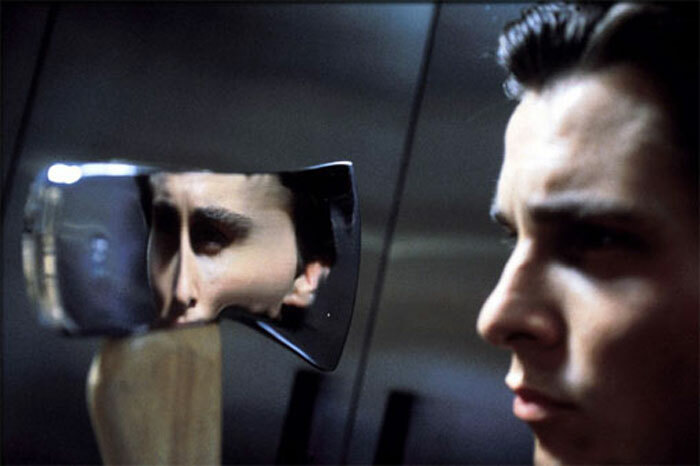 Ever since his performance as Patrick Bateman in American Psycho I have always had high hopes for Christian Bale and after his recent performances I feel that he is really living up to my expectations. Although Harsh Times isn’t the greatest of films, Bale’s performance made it addictively watchable. At times his performance actually had me scared for his mental health, although it was his physical health that had me more worried in The Machinist. He showed just how much of a dedicated professional he is by losing 60lbs to become a visually shocking 130lbs (just over 9 stone) – 20lbs more than his nutritionist recommended losing. This physical transformation has to be one of the most amazing ever seen on screen and really makes De Niro’s weight gain in Raging Bull seem like a walk in the park (I think I’d rather pile on the weight than have to lose it!). Three months after The Machinist Bale put on 60lbs and bulked up to beefcake proportions to play Gotham’s Caped Crusader in Batman Begins and I think that he has to be the best on-screen Batman so far. When I was younger I loved Tim Burton’s Batman films and thought Michael Keaton did a fantastic job of playing Bruce Wayne and his alter ego. Nolan’s Batman Begins however, is a much darker and realistic Batman, and much of this has to be down to Bale’s rugged, gruff voiced turn at the superhero. As much as I am enjoying watching Bale at the moment, I would really like to see him stretch himself with his choice of roles in the future (although in Harsh Times he does show a remarkable range of emotions). Don’t get me wrong, I could watch him play a psycho in every film as he does it so convincingly, and I really wouldn’t mind if they made six Batman films with Bale playing the lead. I think that for him to be considered a truely great actor, we need to see another side to his acting. Like most actors Bale has played his part in some dodgy movies in the past (Reign of Fire, Equilibrium) and has tried some softer roles (Captain Corelli’s Mandolin), but so far apart from his roles as an American psycho, a skinny pyscho, a Gulf War veteran, and I suppose the psycho alter-ego of Bruce Wayne, nothing else has really hit the mark. Hopefully, future roles for top directors like Werner Herzog, Todd Haynes, James Mangold and Christopher Nolan over the next couple of years will really show Bale’s acting range and determine whether he can make the step up from a good actor to a great actor.